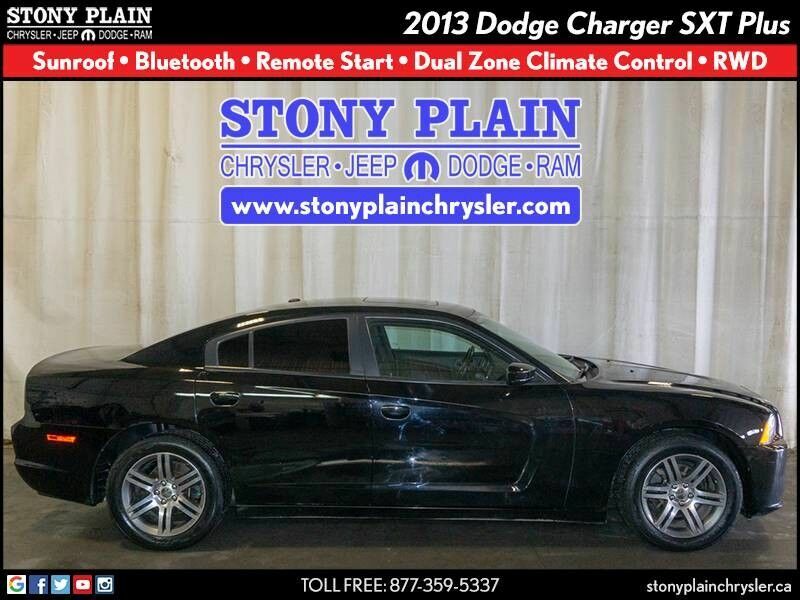 Stony Plain Chrysler is honored to present a wonderful example of pure vehicle design... this 2013 Dodge Charger SXT Plus RWD sedancould potentially be the vehicle of your dreams! The look is unmistakably Dodge, the smooth contours and cutting-edge technology of this Dodge Charger SXT Plus will definitely turn heads. You've found the one you've been looking for. Your dream car.